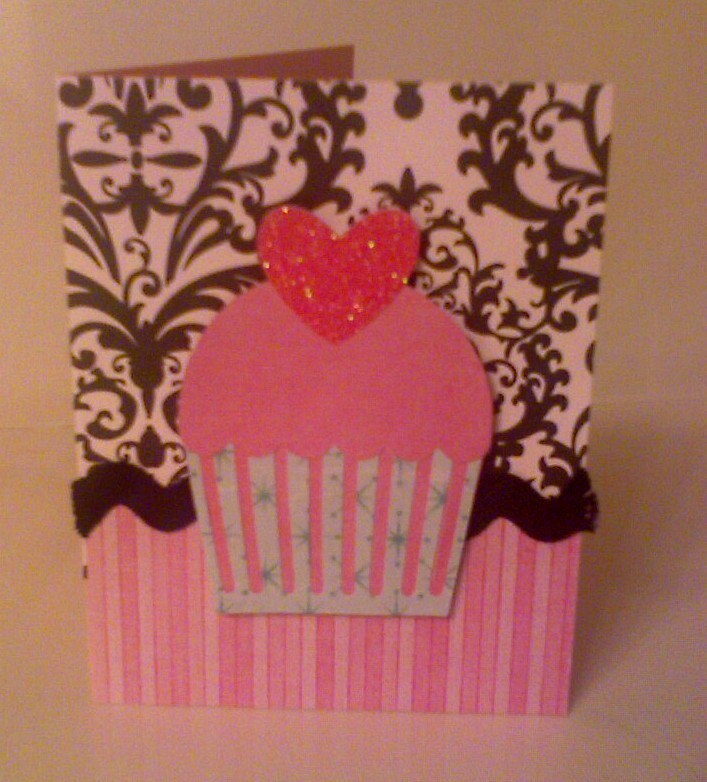 Here's a recipe for a yummy cupcake card. Made this for my cousin, so I wanted a bit of a grown up pattern, but still sweet so as to not forget the child inside. 2" x 4 1/4" tinted rose stripe by g.c.d. studios designer paper, glued to bottom portion of front of card, overlapping the b&w paper. 4 1/4" Black Jumbo Rick Rack 5/8 Inch by Wrights glued over the overlap line of above papers. 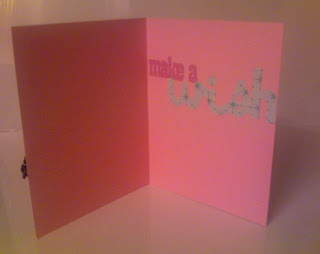 Pink glitter cardstock (for the heart) I picked up at Target. The cupcake was assembled and glued onto card with foam tape, doubled for a super 3D effect. 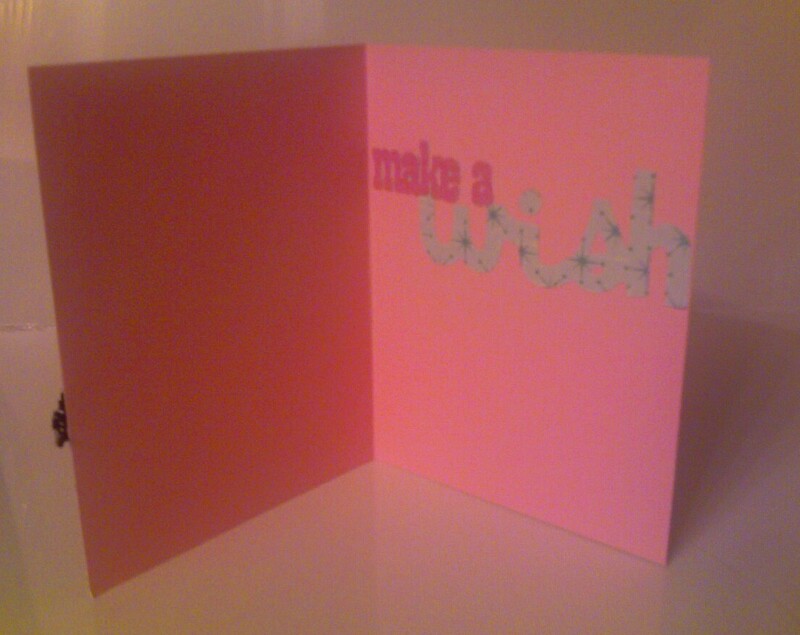 Inside the card, I used the same light blue and pink medallions paper to die cut MAKE A WISH with the Cricut Expression Cutter. Voila! I'm liking this do-something-creative-daily goal of mine. I feel like I really take the time to do something that fulfills me and helps me relax. It's my hobbie and it makes me smile. Now if my cell phone just took decent pictures!! Camera still broken...I keep waking up everyday, nudging it a little to see if it decided to roll over, overnight. But that hasn't happened. I guess I better call the warranty company or get a new one.